Forecasting Buyer / Seller Behavior? I can predict you’ll be meeting more buyers and sellers in 2018 if you get smart about your marketing. And your strategy might include some new technology that’s giving realtors predictive powers. Who wouldn’t want their own crystal ball? For instance, let’s say you discovered 300 young people, graduated and employed (linkedin), mentioning moving, houses, lack of space, frustration, or weddings (facebook), and displaying intent on instagram, blogs, twitter and other social media. Those behaviors tell you which of the 300 have the highest purchase intent. 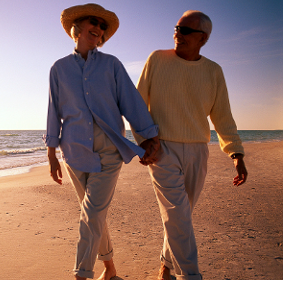 Sellers too, express things long before they actually decide to sell such as retirement locations, health issues, kids moving, travel, and vehicle expenses etc. These are the events that lead to the sale of a house. Your biggest challenges as a real estate agent or mortgage agent is a lack of information about potential clients and what they’re up to – especially for seller leads. Think of the potential value of you knowing who might be buying or selling way ahead of everyone else? See the videos below and you’ll learn something fascinating. Forecasting or predictive analytics is a dominant technology innovation happening right now and obviously has big implications for marketing and sales. Companies such as SmartZip have hopped on it and are providing techniques to mine social media activity to predict buying behavior. There are other companies too, such Adgorithms who use artificial intelligence software to assess click behavior which leads to buying and selling. What if you could watch your social media followers and draw a good picture of when they might be ready to sell? Google itself is into predictive modeling/analytics extensively with their RankBrain technology. They use it to serve up ads to searchers because they know what consumers will be searching for next in their buying journey. It’s sort of a precognition unit of Google. It works and has grown their ad revenue significantly. Major national real estate forecasters have had access to excellent market data to map out predictions on housing markets resulting in a few good predictions (well, okay very few:) So forecasting and prediction can work if there is enough high quality data, and an algorithm which can filter through it. Amazon has their AI software helping them predict what their customers are going to buy next based on past searching and buying behavior. Then they suggest behaviors and products to their visitors. It’s easy to lead someone if you know where they’re going. 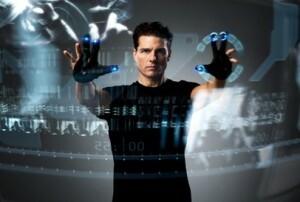 You may have watched the Steven Spielberg movie Minority Report starring Tom Cruise. If not, check it out on Netflix. The movie presented an interesting corollary to predictive modeling and predictive analytics. In it, 3 human brains are used as “precognitive” oracles and are fed all the data known (big data) in order to predict every person’s future behavior. This is the beginning of what may become the precog world of the future. 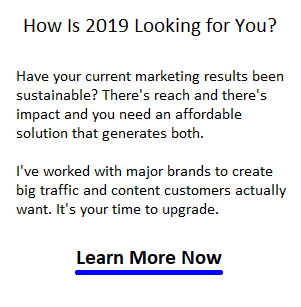 I’ll introduce you to one of the most intriguing lead generation services going — SmartZip which is unique approach to real estate sales forecasting. What if you had some sort of crystal ball or oracle that could tell you where people wanted to live and when they were going to buy a home or condo? What if you could narrow down the most likely home seller leads? With Predictive Analytics, real estate agents may be able set up and use their own predictive modeling of their Twitter, Facebook, Instagram, Snapchat, Linkedin, and other feeds to find buyer and seller leads, and other realty trends. This could help with your word of mouth networking since it at the very minimum gets you to focus on the daily activities and psychology of your connections. Work that Data! Predictive analytics or predictive modeling. That’s why programmers are making so much money and why some startups are hot properties themselves. Investors and businesses want to know what and when their customers will purchase in the coming days to years. As a realtor, this information can also help you find buyers in your city or those interested in your city, who may want to sell their home and buy another. How do they do it? Analytics experts are extracting data from social listening and other data held or data transferred in the cloud. Whatever activity is viewable and therefore downloadable, is extracted into a database and analyzed. Big Data as it’s called is often collected from the cloud and other private databases and pooled to create an informative source of real estate information for realtors, investors, developers, politicians and civic planners. And the other part, small data, is the stuff you can collect from your own circle of connnections (social media). The process might also be called data mining, however the semantics of it all is confusing. The key point of predictive analytics is that this huge amount of data makes it possible to extract patterns of behaviour online and foresee possible future behaviours and intentions. The experts including those at NAR are using it to predict housing prices and investment risk. Understandably, a lot of people are pumped up about predictive analytics. “Linking information can give you an incredibly detailed picture,” he said. “NAR’s strategy going forward is to determine the strategy and initial objective, identify models worth emulating, assess existing Realtor® resources, acquire and develop missing capabilities, run a pilot project, and then scale up.” – NAR 2013. Core Logic is one such company utilizing data from the MLS databases. Key CoreLogic ListingTrends metrics include leading indicators of house prices, listing inventories, days on market, and absorption rates by listing type—new, active, pending, closed, and sold. With deep and broad coverage of U.S. Multiple-Listing Services (MLS) data, CoreLogic ListingTrends provides monthly snapshots of time-series housing data—at the ZIP Code-level. In a previous post on , I mentioned Smartzip, who offers services for real estate agents and mortgage lenders. You’d be wise to check out their service packages and give them a try. They offer insight on ZIP code level which is a little more practical and relevant or the average agent. This can work in concert with my work as your real estate SEO specialist. 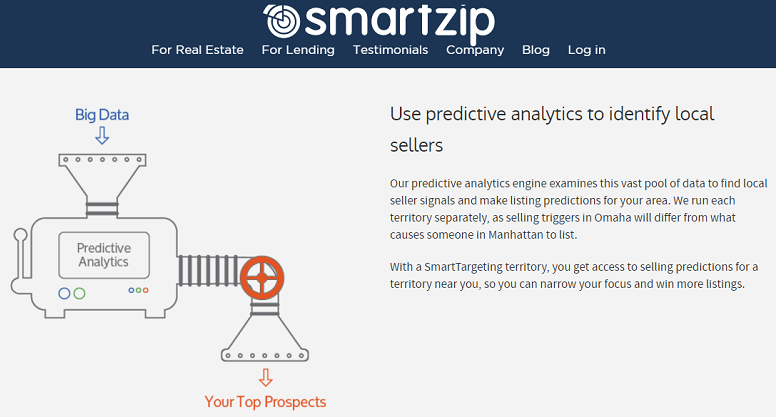 What you’ll want to focus on with SmartZip is their data backed selling predictions service to identify seller leads. If you’re selling income generating condos, luxury homes, rental properties, commercial real estate or purpose built student housing investment units, SmartZip could be a big asset. According to a report on mortgagenews.com, that after identifying the best prospects, SmartZip provides a multi-channel marketing program that produces emails and direct mail pieces, including digitally hand-written letters and post cards. It also has a backend lead management CRM feature that looks good. What can it integrate with? SmartZip’s latest development is called Sphere Targeting – offering home seller analytics and targeted marketing campaigns for an agent’s sphere of influence — or your databases. You upload your personal contact databases to Sphere Targeting’s predictive analytics engine and their software delivers rich data insights and seller predictions for each contact on an ongoing basis. Very interesting. If you combine predictive analytics with SEO, social media marketing, PPC and maybe remarketing, you’ve got a powerful online arsenal.